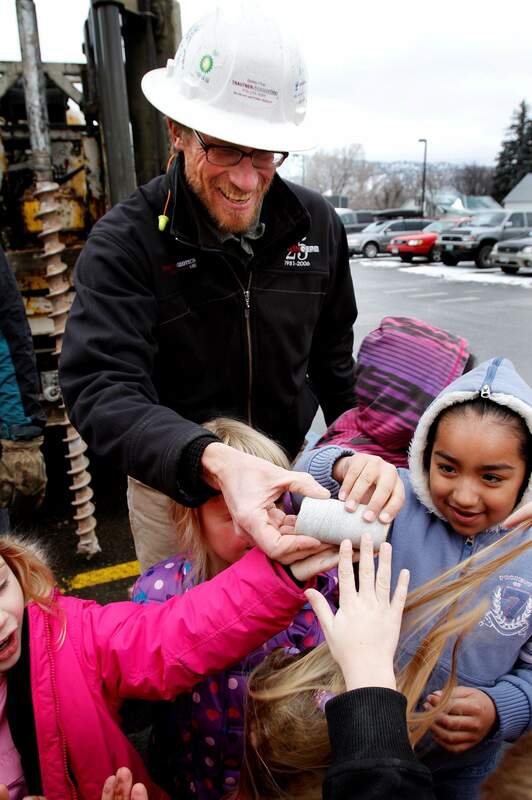 Coming face to face with core education, first-graders at Needham Elementary School touch core samples drilled by crews with Durangos Trautner Geotech. The samples were presented Friday by Trautners Andy Gleason as part of the schools Engineers Week. The week was filled with presentations, field trips and hands-on demonstrations. 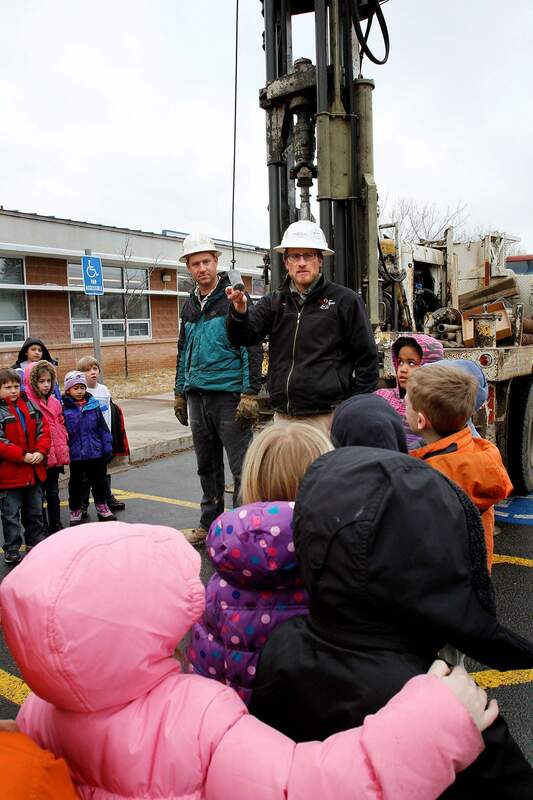 Coming face-to-face with core education, first graders at Needham Elementary School hear Andy Gleason of Trautner Geotech explain the Durango companys drilling operations during the schools Engineers Week. The week was filled with presentations, field trips and hands-on demonstrations.